If you only know Adam Driver from the HBO series Girls, get ready to see him everywhere. His career is already reaching new heights with a major role in the new blockbuster phenomenon Star Wars: The Force Awakens. 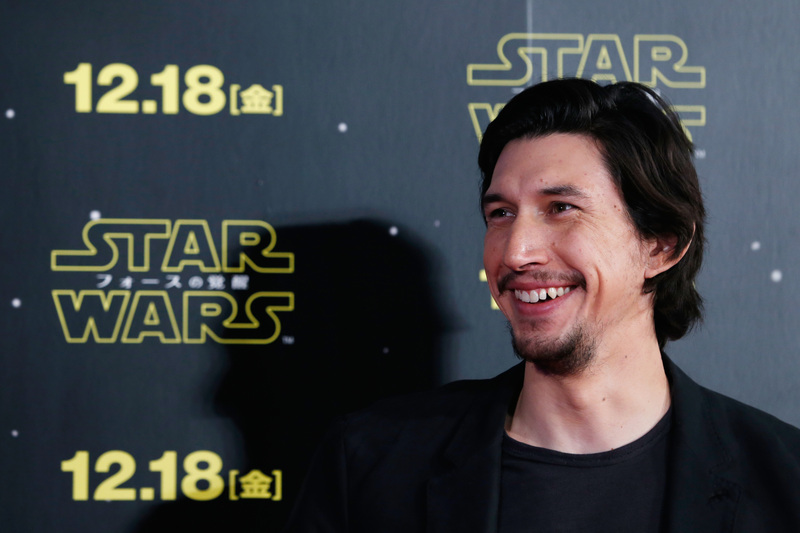 And now Adam Driver will host Saturday Night Live on Jan. 16, 2016 to show off his funny side. I have no doubt that Driver will totally knock this one out of the park. As a long-time fan of Girls, I've seen Driver consistently be quietly hilarious as his character Adam Sackler, so I can't wait to see him take on sketches on SNL. Driver plays Kylo Ren in the new Star Wars film, showing us all his evil side and introducing the actor to a whole new audience who may not be as addicted to the Lena Dunham comedy as some of us are. In addition to starring in the fifth season of Girls, the actor is set to have a pretty big 2016, with roles in the Martin Scoresse film Silence, Midnight Special with Kirsten Dunst, and Paterson. In the past, SNL has spoofed Girls perfectly, in an HBO promo and the Biblical movie Girl, so could Driver team up with the show for another fun parody? Will Driver meet or showdown with Taran Killiam's perfect impression of him? Or will Driver do a send up his Kylo Ren character from Star Wars? It'll be even more fun to see Driver take on other roles and impressions, to show off his sense of humor. The possibilities are endless for Driver, who is set to become a superstar in 2016. And seeing him take on hosting SNL in January only has me more excited for the new year.